When the 2018 baseball season began for Brian Rey he was entering his sophomore season at Miami Dade Community College. For the second year in a row he hit .400 and this time showed an uptick in power, slugging .655. He also walked more often than he struck out. That helped lead to the Cincinnati Reds drafting him with their 13th round selection in the draft. 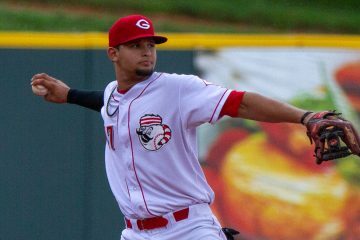 The Reds assigned Brian Rey to their newest affiliate in it’s inaugural season, the Greeneville Reds. 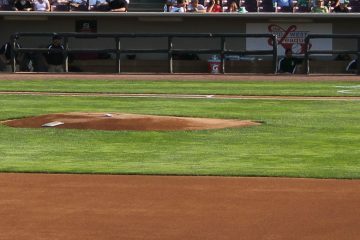 With the Appalachian League season not beginning until June 20th, he only played in seven games during the month of June. He had hits in six of them. He only struck out in one game. Over the 10 days of play with Greeneville he hit .458/.526/.583 with three doubles, three walks, and two strikeouts. Riding a four game hitting streak entering July, Brian Rey kept things going. Over the first two weeks of the month the outfielder racked up at least one hit in 10 more games, extending his his streak to 14. Only two of the games were multi-hit affairs, going 12-42 (.286) during the 10 in July. The second half of the month didn’t go nearly as well as he went into a slump. In 13 games played, Rey had a hit in just four of them, going 8-38 (.211) with just one double. He did walk five times, and was hit by another four pitches in that span. In his 23 games played during July he hit .250/.355/.288 with three doubles, eight walks and six strikeouts in 93 plate appearances. Brian Rey continued his slump into August. He played in 12 games through the 19th and hit just .167, going 7-42 with a double and no walks. Things picked up over the final ten days of the season for Greeneville as he went out and hit .320, going 8-25 with two home runs – his only homers of the season. The 20-year-old played in 19 games during the month and hit .224/.264/.328 in 72 plate appearances. He struck out just six times, but walked just once in that span. Hitting | Brian Rey makes a ton of contact, and he uses the whole field. He’s got an average hit tool, though it could play up a tad. Power | He slugged just .345 in 2018, but there’s more power in there than that. He’s got below-average raw power, but double digit home runs is not out of the question. Speed | He’s got above-average speed. Defense | In college he played shortstop and second base, but made a smooth transition to the outfield. He split time between center and right field and is a quality defender. Arm | He’s got a solid arm. The 2018 season has some things to like from Brian Rey. He made contact at a rate unlike any other player in the organization. He struck out just 14 times in 193 plate appearances. That’s a strikeout rate of just 7.3%, which was easily the best in the farm system. No one else in the system with 150 or more plate appearances finished better than 11.7%. He walked nearly as often as he struck out, too. The right-handed hitter used the entire field in his approach and that’s always a positive. Offensively there was one issue that did show up, though. The power he showed in college completely disappeared. He’s listed at 5′ 11″ and 170 lbs, and he’s a strong guy. There’s more power in there for him to tap into, and a lot more than his .345 slugging percentage would suggest. While I wouldn’t count on him going out and hitting 15+ home runs in the future, 10-12 doesn’t seem unrealistic. On the defensive side of things he made a quick, and seemingly easy transition to the outfield. He played center field for Greeneville most days until Mike Siani showed up. That’s when he slid over to right field, and in just 27 games he picked up four assists. He also didn’t make a single error during the season in the outfield over 42 games. Rey also made two starts at second base. Brian Rey is a bit undersized when it comes to what you think of in a professional baseball player. But he’s got some tools and skills to work with. Ideally you would like to see a few more walks, and maybe trade some contact for power – as he’s got a whole lot of leeway in the contact department to trade in. But he also provides plenty of positional flexibility, capable of playing anywhere in the outfield and over at second base. 417 feet on August 20th. In a very limited sample size of just 41 plate appearances he really struggled against left-handed pitchers. He hit just .200/.293/.229 against lefties. Against right-handers he hit .287/.362/.375 in 152 plate appearances. 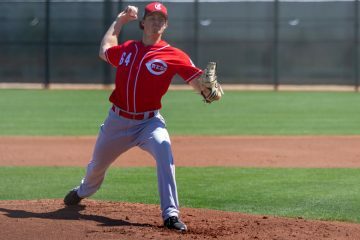 The Reds have traded three prospects (Gray, Downs and Rainey) for players that will be FA in 10 months. They are half in now. Either this winter will be a disaster (trading quality prospects for a team to finish about .500 and not make the playoffs) or they should finish what they started and be all in. The Reds should make 3/4 more moves. 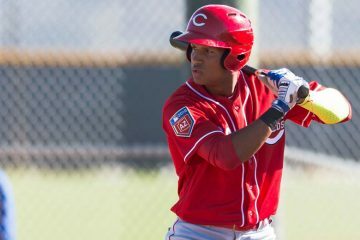 The Reds started off with $30 million to spend this winter and after the trades with the Nationals and Dodgers they are down to $17 million. Since Kemp, Puig, Gennett, Wood and Roark are all FA after the 2019 season they have another $55 million available to them following this season. 1. Trade for Kluber/Bauer. Financially, Bauer makes more sense but if they include Gennett in the trade Kluber is fine also. Trade India, Santillan, Gennett, Barnhart and others if necessary to get Kluber. Now the Reds are down to $12 million for this year. 3. Sign Manny Machado to a 10 year $300 million Contract. $3 million in 2019 and $33 million a year after that. 4. Sign Adam Ottavino to a three year $33 million dollar contract. $3 million in 2019 and $15 million a year in the last two years. I really like Romano, Reed and Wisler as bullpen arms so this deal is not a must. Not doing so would provide the Reds with about $20 million next winter to pursue a replacement for Wood/Roark. Mahle should be ready to step in to fill the second spot. The Reds are done for 2019. For 2020 they suddenly have an added $12 million with Ottavino and $27 with Machado. But this $39 is offset by the release of contracts from Kemp, Puig, Wood and Roark. What a line-up the Reds have now. Best lineup in baseball. Very good SP. Very good bullpen. I really like Romano, Reed and Wisler as bullpen arms. Virtually none of that will happen. Neither trade would be acceptable to the other teams. Neither proposed FA signing will happen. The Reds have been involved in trade talks with both Kluber and Realmuto. To say these are unacceptable makes no sense since I did not put a proposal out there. All talks around Realmuto have been Trammell +1. I have no clue what the trade for Kluber would take. But I do know it was mentioned on mlbtraderumors yesterday. So your opinion of no chance seems premature since the Reds are repeatedly linked to both players. In fact it seems the Reds are the only team linked to Kluber lately. The Reds management are in a difficult position. Either they gave up 3 prospects to win 80 games this year or they have more moves to make. They are saying the moves are not yet done. I would try to save Senzel and Greene, but everyone else is available if they can get a Cleveland ace (Kluber or Bauer) and Realmuto. So old timer. Williams says the Reds are not done yet. What moves will they make in the coming weeks? Gray seems more plausible than Kluber. But the Yankees asking price is far too much for me. I would have rather have had Holland. Read what I wrote. Your proposed return to the other teams would not be acceptable to them. Stars require budding stars in return. The Reds will acquire another SP either by trade or FA signing. That puts them within sight of 80 W in 2019. Read not only what I wrote but what is being stated on reporting sites (mlbtraderumors for example). The return on Realmuto has been quoted a upper level prospect and other. Trammell is the upper level prospect. Top 50. Pretty good. That is a great start and is the start quoted on MLBtraderumors.com. Kluber is a bit different. Cleveland is not in rebuild. They plan to win the division. They want to cut payroll but still win the division. Trading Kluber cuts payroll by 50 million the next 3 years. Gennett and Barnhart would fill an immediate needs. India is a top 50 prospect. Santillan may not be a top 100 prospect but he has to be really close. Many would consider him a top 100 even if rating sites do not. I am pretty sure Doug does. Include others as necessary. If the Reds do not have enough they can default to Gray. They can also include Trammell and forget about Realmuto. I’m always interested in your thoughts on the Reds Stock, but I think what has happened is different than your position. As fans, we criticize the front office all the time. I have done it myself. But what they did here is remarkable. I’ve been saying for a couple of years now that the Reds need to find a way to get an advantage over the competition most of whom have deeper pockets than the Reds. One way they could do it would be to agree to take on an existing bad contract or two, and use that opportunity to add young talent to what has been drafted or signed. Instead, they actually turned their own bad contract (Bailey) into an asset that will most assuredly, through summer trades and/or qualifying offers, turn into much more young talent than what they gave up (Downs and Gray). They did all of that without adding much to current payroll… and even if they don’t sign a high priced FA this year, they can sign 2 or 3 of them next year (after all the expiring contracts go away). By then Senzel, Trammell, Santillian, Gutierrez and others will be really inexpensive talent that is ready to contribute with Greene, India, and this year’s 7th pick not too many years behind. The Dodgers got what they wanted in luxury tax relief. Yet somehow there was no increase in current payroll, and the Reds are truly setting up for an extended run. This rebuild has been full of fits and starts. Some good drafts and trades, and some really bad trades too. But this move was shrewd and really good in my opinion. So, as you can guess, I’m not in favor of making any trades that pull from the high end young talent for a 2 to 3 year sugar rush of competitiveness that then returns to rebuild mode. I agree with you in large part Greenfield. Half of the trade with the Dodgers was great insight. The Reds gave the Dodgers salary cap relief in exchange for cash. Win/win. It is the other half that leaves me thinking we can not be done. The Reds traded players that may be help in the future for players that will help in 2019. The same with the trade with the Nationals. The Reds traded a player that may help in the future for one that will help in 2019. But if the Reds call it a day I think they traded future assets for a 4th place finish in the division. and then a weaker future team. So they are done and made two dumb trades or they are not done and with another trade or two will compete for the division title. The question is what moves are yet to come. I hope the moves to be done are summer trades and qualifying offers. If they can get a high end free agent this year without a big overpay, great. If not, they can get two or three next year. I have thought for a couple of weeks that if they could get Machado to play SS for the next several years, they could move Peraza’s improving bat to CF until Trammell arrives (I’m not the ultimate expert, but I don’t think Siri is the answer with his high strike out rate). I believe in 5 years, Hernandez, Garcia, India, or some other high end young guy will be the SS with Machado moving to a corner or another team for back half of his contract. The reason I created this new post is because I think Machado is suddenly being sold at a discount. For some reason Jason Heyward comparisons are cropping up. The last 4 years Machado has twice as many HR as Heyward had in his last 4 years before FA. I don’t see the comparison other than similar BB% and similar K%. Heyward had a good BABIP his last 3 years. Machado’s is less than .300. Machado hard hit % is twice his soft hit % (38% to 19%). Heyward has them both in the 20’s (23% to 28%). Machado is cheap and the Reds have a lot of money coming off the books next year. I would be fine with Realmuto for Trammell+ something and Gray for Gutierrez and Shed Long if we get Machado. Right now the White Sox look like a leading contender to get him. Really? Go big or go home. I would be in favor of the Reds adding Machado if he can play SS for a few years. I still don’t want any of the high end talent traded for a couple of years of a high end current payer. If you are going to dream then dream big. But I think all of that happening is about 0%. First of of Machado is not going to play in 2019 for $3 million. It doesn’t matter how much you are offering in 2020. Secondly it is very short sighted. We lose40% of the starting rotation after 2019, sure you lose their salaries but you still have have someone fill in those spots. You also lose 2/3 of your outfield, again yes you lose their salaries but you still have to fill the spots. And centerfield is not addressed. Peraza is not the answer in center. I can buy Peraza not being the answer in CF. If so move him back to 2B and put Senzel in CF. 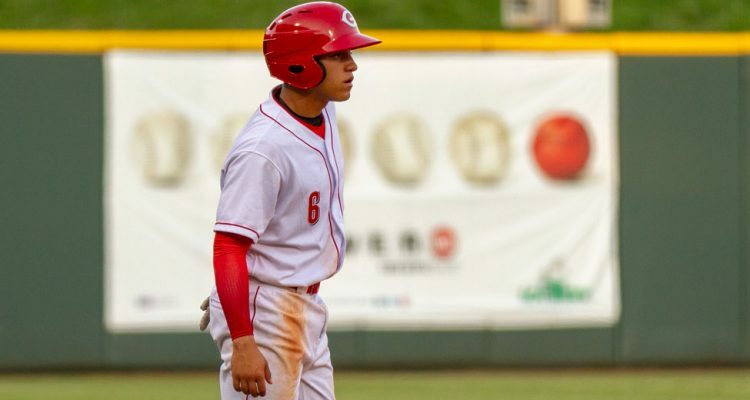 2020 – 2022 outfield is Winker/Senzel/Schebler. Cheap and under control. The rotation is a potential problem but hoping Mahle/Sims/Santillan or whomever take one spot with a cheaper FA filling the other. Really wish that the rumors would stop and Machado and Harper would sign so the dominos of signings would start. There are some posters who are just having fun of trade scenarios and replies coming back that are just unkind. Wow – I completely missed this guy, and those are some very impressive secondary stats. Need to look into it more, but do I detect some Friedl-like hints with him? Is he on the smaller side? I wonder how many guys are overlooked, but are otherwise excellent ball players – i.e. contact, defense, batting-eye/strike zone discipline. Hope he breaks out in Dayton this year. My first thought when I read this was this is the kind of player that St. Louis finds. If you continues on track he’s one of those players you can call up to Phil as a bench player or a variety of fill ins and a case of injuries. Dougy E Fresh, where u at on all this 3 way trade talk?? We can’t get ur take !? My take: I’d love to have Corey Kluber. At what cost? For me if I knew Long or India would be ready to be a starter in 2020 I would personally be in favor of trading Senzel for Kluber. I just don’t know what the Indians would want to go along with Senzel. I am thinking if India becomes the player we are hoping he can be that Senzel can be expendable. Thanks Jon. This is why I included Kluber instead of Gray. I included Machado because I have heard so much about the “Mystery” team this winter. Why not the Reds? It probably is not the Reds. But it may be. It sounds like the Phillies may be out. They have stated they will sign one of Harper/Machado but not both. The Yankees are out. My guess is he signs with the White Sox or the Mystery team. I am just hoping the mystery team has a stadium within 10 miles of my house. Again, Williams said the Reds are not done yet. Gray, Keuchel, Realmuto and Kluber are really the only players that have been linked to the Reds lately. Keuchel would put the Reds over budget.